Next up, let’s talk a little bit of a brand-new season. 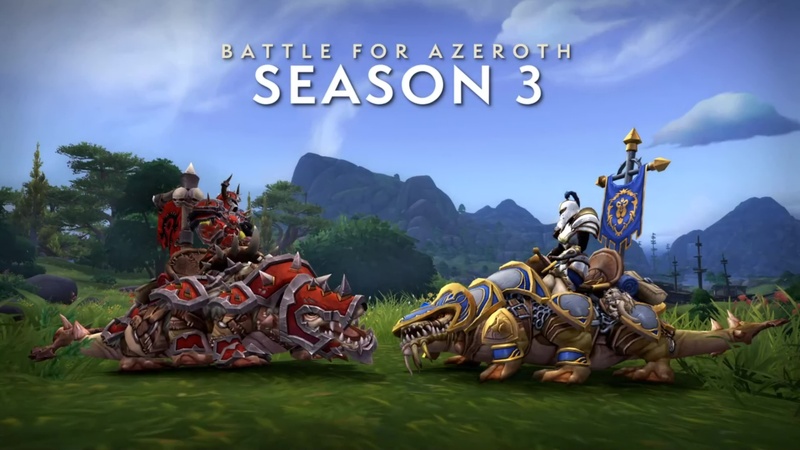 Season 3 is coming at you in Rise of Azshara. Brings with it, with the PvP season, a brand-new set of vicious mounts as shown in here. The vicious Basilisks, and of course, brand-new Arena Gladiator mounts; and the Mythic Season will bring with it, of course, the usual item level increases, as well as a Nazjatar-themed affix. Along with Season 3, we will be unlocking the Eternal Palace Raid, and the Mechagon Megadungeon, and all the great rewards, loot, essences, and collectibles that you will find in there.